Don’t attempt to do it all by yourself. Unless you are a foremost expert in the airline industry, it’s probably best to enlist some help to avoid making unnecessary mistakes or wasting precious time. Jets are fairly intricate contraptions and you want experts on board to lend a hand. Take the time to conduct sufficient research on an aircraft management company or buying consultants that can provide assistance with coordinating the purchase and maintaining the plane once the transaction has been finalized. Of course, all of this will come at a price but not to fret, it’s sure to be well worth paying. Determine your needs. There are three sizes of private jets that you can choose from. These include small, medium and large. With regard to size and flying range, a light jet costing $3 million to $8 million can carry five to eight passengers for about 2,000 miles. On the other hand, a midsize executive jet setting you back by $9 million to $16 million can carry nine passengers at best and will take you up to 3,000 miles through the skies. Lastly, a large executive jet that costs $17 million to $45 million is able to accommodate up to 12 passengers for over 4,000 miles. Be resourceful. Scour through different aviation exchange websites if you aren’t on the prowl for a Gulfstream or a Learjet. Have a look at http://www.controller.com or http://sing-jets.com/. Take the plane out for a test spin. 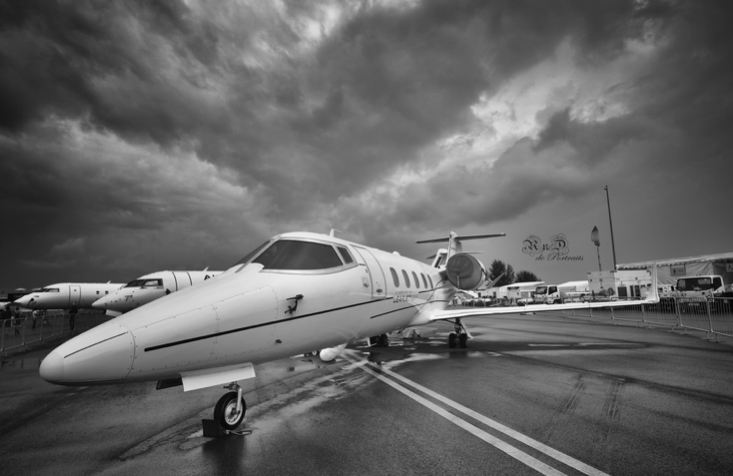 No matter how confident you are about your purchase, it’s ideal to take the jet out for a test spin just so you can get a personal feel of what it would be like to be on board the jet on a regular interval. It is standard for a demo flight arrangement to take place once the money has been escrowed by the buyer. In this case, the manufacturer will typically offer demo to help you build confidence in your investment. Obtain financing and secure an inspection. Due to the 2008 recession, it’s now more difficult to obtain financing but it’s certainly not impossible. Lastly, have the plane inspected to ensure that you are getting your money’s worth and that it’s in excellent flying condition. Previous PostHow Much Does a Private Jet Cost?